Congress and Exhibition Center "Parkovy", Parkova Rd. 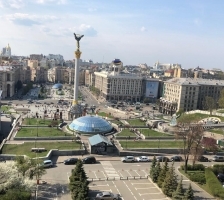 EBU NewsEvents is offering stand up positions overlooking Maidan Square from inside the Ukraina Hotel on Kreshatik Street. 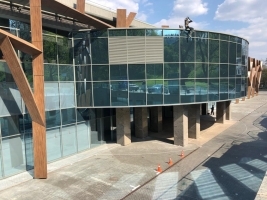 EBU NewsEvents is also offering standup positions with a backdrop of Parkovij Business Center where candidate Zelensky headquarters are.